This article by Linda Chavez discusses, specifically in England but present in other European countries as well and growingly in the US, a moral decline that has seen a great increase in out-of-wedlock births, a decline in personal industriousness and a great lapse by many into a sense of entitlement of a standard of living that they themselves do not produce. This is neither individually or socially healthy, but the fact is that it is doomed to social failure even if it were. The past couple of years have seen violent outbreaks around Europe similar to what is taking place now in England. These are largely a reaction by a resentful people to the inability of the over-ambitious state to deliver on what it has promised in perpetuity. But there is also an unnatural social pathology that has for decades preceded the eventual limit of the system. 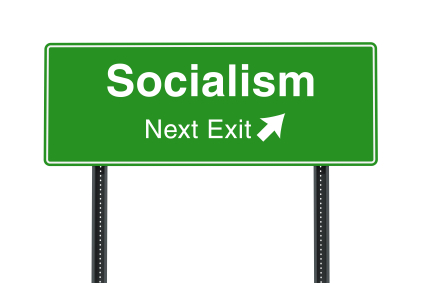 Margaret Thatcher curtly described the problem with socialism as “that you eventually run out of other peoples’ money.” That’s rather a simplification for easy presentation to the general public. But, the problem is not only that you have squeezed the productive people dry or run them off before the fact. The bigger problem is that you’ve doused the potential of producing more productive people both for themselves and their communities and for society as a whole, including creating more wealth. Europe has for decades had a persistent underclass. Social mobility has been nothing like it has been in The United States. Class structure in Europe has been much more calcified. You generally remained in the class into which you were born. In my youth, we were inspired by “ragas to riches” stories, and told that we all had the potential to achieve. But particularly in the past few years, we have been headed in Europe’s direction, with leadership that wants it that way. And in the fierce reaction to the reform efforts of new Congress people and governors, and the mere suggestion that reform of entitlements is inevitable and better sooner than later, we can see the seeds of the violent responses in Europe to the austerity measures that even their socialist governments cannot avoid. Howl as anyone might, there’s just no more money.